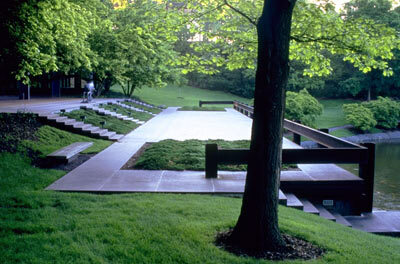 Born in Reedley, California, Sasaki studied landscape architecture at the University of Illinois, where he counted Stanley White amongst his influential teachers, and graduated from Harvard’s Graduate School of Design, then led by Walter Gropius, in 1948. He worked briefly for Skidmore, Owings & Merrill, and then returned to teach at Harvard, where he was chairman of the department for ten years. 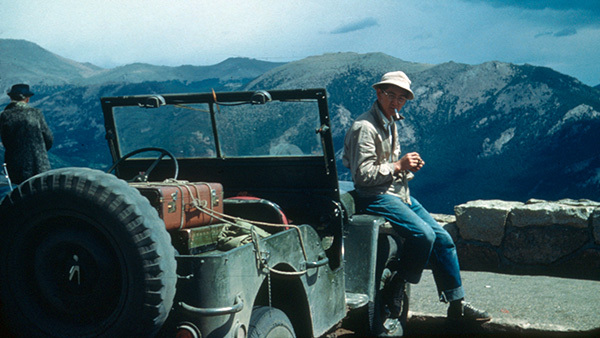 A founder of Sasaki, Walker and Associates, he led a firm that emerged into the forefront of complex environmental design, focusing on the interaction of land, buildings, and the greater environment. Both in his academic career and in private practice, Sasaki valued cross-disciplinary collaboration, promoting a comprehensive and cooperative approach to planning and design. 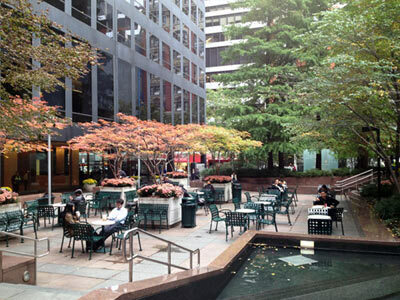 Significant public landscapes include Greenacre Park (New York City), Constitution Plaza (Hartford, Connecticut), University of Colorado at Boulder, Sea Pines Plantation (Hilton Head Island, South Carolina), John Deere and Company Headquarters (Moline, Illinois) and the Christian Science Center (Boston). The firm evolved through various configurations, but consistent was Sasaki’s conviction in the notion of oasis and that landscapes can restore the human spirit. 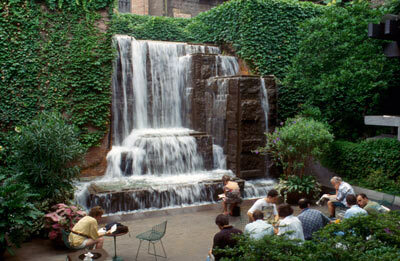 In 2000, he was awarded the Centennial Medal by Harvard for extraordinary achievement in landscape architecture. 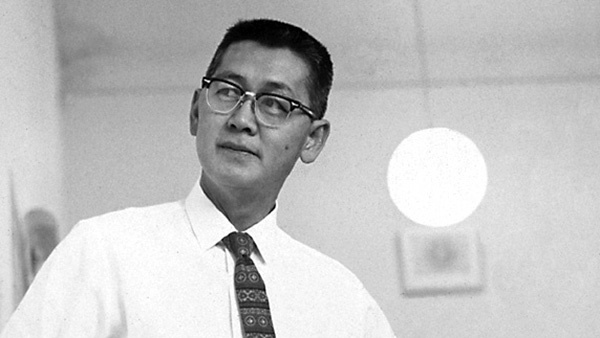 Hideo Sasaki was born in Reedley, California, on November 25, 1919. A farmer's son, he graduated from Reedley Junior College in 1939. He studied business administration with a minor in art at the University of California, Los Angeles; but after hearing about the field of city planning, Sasaki transferred to U.C. Berkeley where planning was taught in the landscape architecture department. 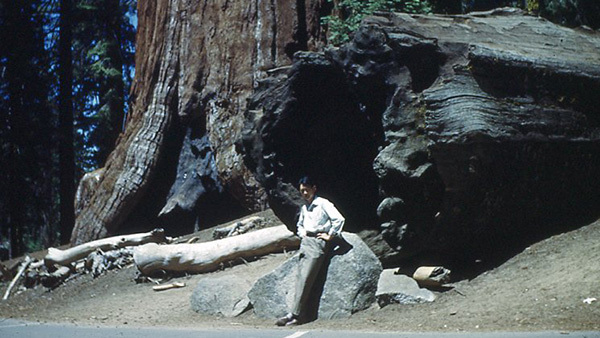 Sasaki's studies in California ended abruptly with the outbreak of World War II. After a brief time in an internment camp for Japanese Americans, he worked in the sugar beet fields of Colorado, and later in a photographer’s darkroom in Chicago. He received a B.F.A. 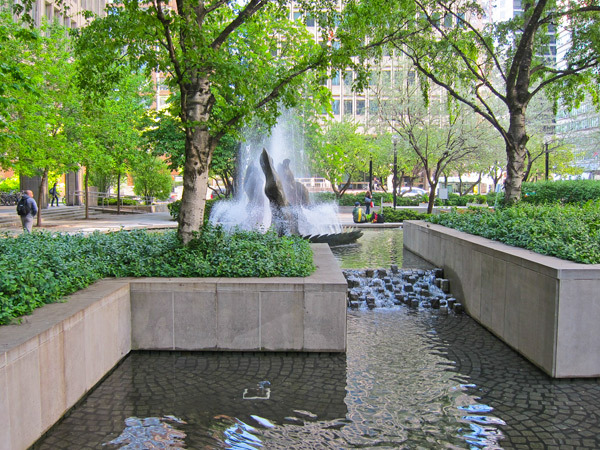 in landscape architecture in 1946 from the University of Illinois, where he studied under Stanley White and Karl B. Lohmann, and in 1948 completed his M.L.A. at Harvard University. Sea Pines Plantation, Hilton Head, South Carolina, 1964 - Photo courtesy Sasaki Associates, Inc.
At Harvard's Graduate School of Design (GSD) while Walter Gropius was dean, Sasaki came into contact with Bauhaus ideals of teamwork and mingled freely with architects and engineers. After graduation, he worked in the New York and Chicago offices of Skidmore, Owings & Merrill (SOM), and taught at the University of Illinois and Harvard. Sasaki also did research on housing and urban renewal in and around Chicago with planner Reginald Isaacs and students at the University of Illinois. John Deere & Company World Headquarters, Moline, Illinois, 1959 - Photo courtesy Sasaki Associates, Inc.
By the end of 1953, Sasaki was teaching at Harvard and practicing in Watertown, Massachusetts. At the GSD, the new dean, Josep Lluís Sert, and the new planning department chairman, Reginald Isaacs, shared Sasaki's commitment to collaboration, blurring the lines between professions and departments. 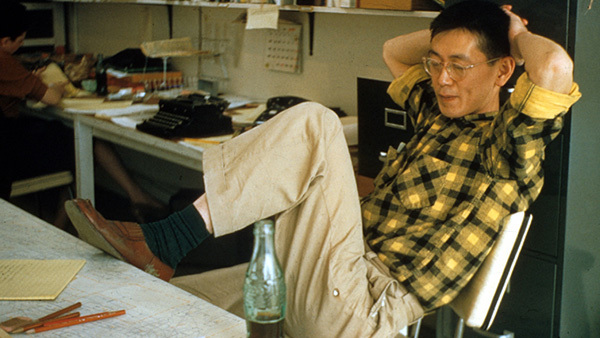 As head of a large planning and design firm and as chairman of Harvard's department of landscape architecture from 1958 to 1968, Sasaki utilized a wide range of talents, regularly giving credit to others. 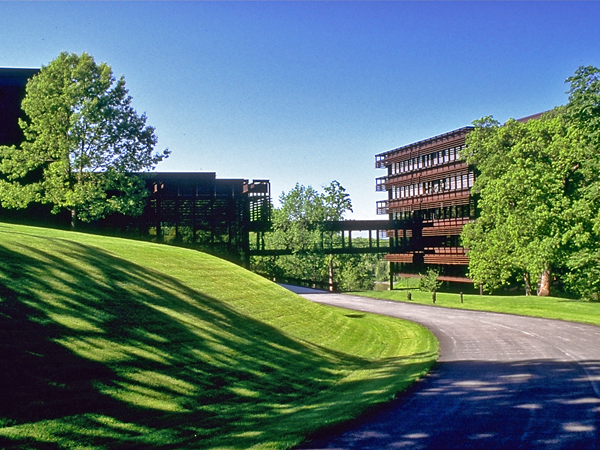 Projects showing Sasaki’s propensity for collaboration included Sea Pines Plantation on Hilton Head Island, South Carolina, for the developer Charles Fraser in 1958; Upjohn Corporation World Headquarters in Kalamazoo, Michigan, with SOM from 1957 to 1961; Deere and Company Headquarters with architects Eero Saarinen and Associates in 1963; and projects in New England and elsewhere with architects Pietro Belluschi, J.L. Sert, I.M. Pei, Paul Rudolph, and Edward Larrabee Barnes - leading figures in the Modernist movement. It was a unique moment in time, a "coalescing of different forces and ideas," Sasaki recalled. 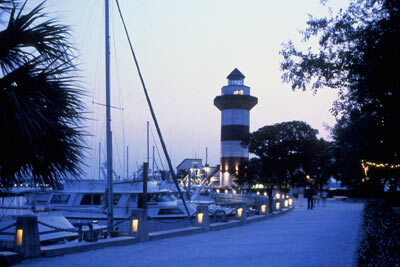 There was pent-up demand for revitalization and new construction after World War II. The environmental movement was gaining strength. New tools, such as aerial photo interpretation, computer graphics, and computer modeling, were being developed. A focus on research and regional planning opened up new opportunities for collaboration. As Dean Sert noted at Harvard's first annual urban design conference in April 1956, the era of individual, isolated work was over. It was a new era of synthesis. 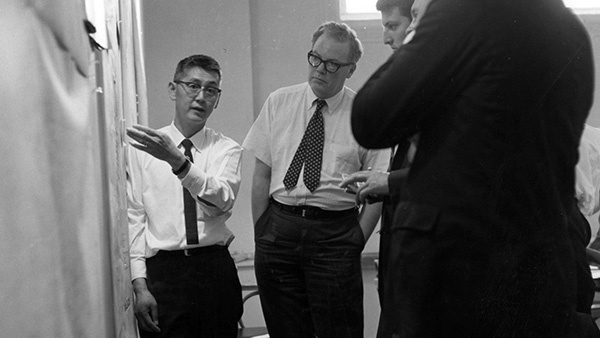 Ken DeMay (seated left), Stuart Dawson (standing) and Hideo Sasaki (seated right), ca. 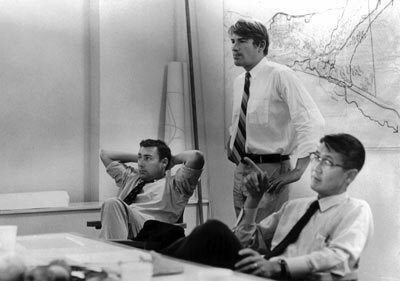 1965 - Photo courtesy Sasaki Associates, Inc.
At Harvard's department of landscape architecture this shift was evident in the emphasis on team teaching and group projects. The sequence of studies was divided into eight-week quarters, taught by a small core faculty and many guests, including specialists from other schools and colleagues from Sasaki's practice. The department's limited funds induced Sasaki to keep a flow of expertise moving from his office to the school and back again. It was a remarkable symbiosis, recalled Professor Charles W. Harris, Sasaki's successor at Harvard. 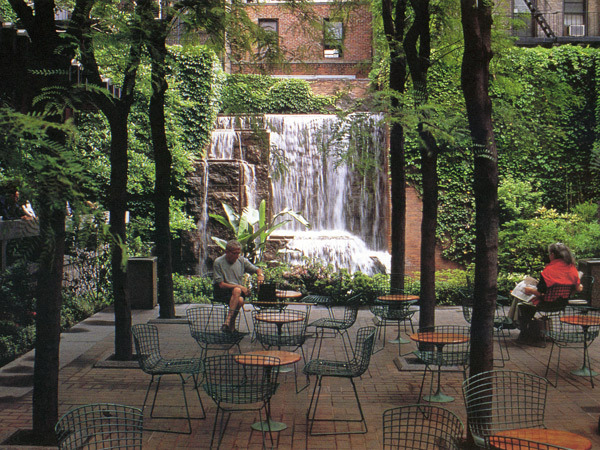 Greenacre Park, New York, New York, 1971 - Photo courtesy Sasaki Associates, Inc.
Sasaki's office went through several configurations and spin-offs, including Sasaki, Walker and Associates; Sasaki, Dawson, DeMay Associates; the SWA Group, and Sasaki Associates. The office's planned and built work garnered numerous awards. 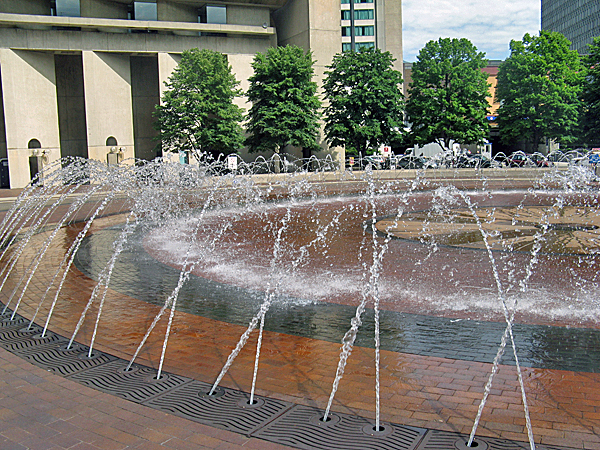 He was a member of the U.S. Commission of Fine Arts in Washington, D.C., from 1961 to 1971. He was often a juror for competitions, including those for the Vietnam Veterans Memorial in 1981 and the Astronauts’ Memorial in 1988. 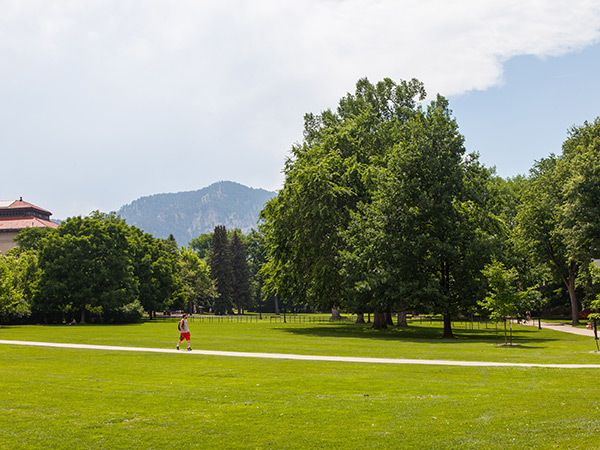 A Fellow of the American Society of Landscape Architects, Sasaki received the ASLA Medal in 1971 and the Allied Professions Medal of the American Institute of Architects in 1973. He was awarded honorary doctorates from the University of Illinois, the University of Colorado, and Ohio State University. 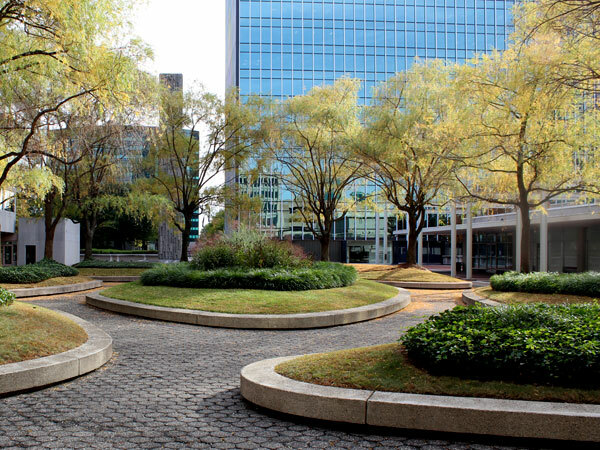 In the spring of 2000, the Harvard GSD awarded him the Centennial Medal in honor of his extraordinary achievement in landscape architecture. He died on August 30, 2000. Tributes after his passing included accolades from a former student, "In addition to being a towering giant in his profession, he was always gentle as a human being."